Thesis: "Hemodynamic Predictors of Outcome in Patients Undergoing Valve Replacement"
Please call Radiation Oncology of Atlanta at 404-705-9192, or call Northside Hospital at 404-300-2294 if you have questions or want to schedule a consultation or follow-up appointment. 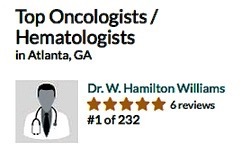 Dr. Hamilton Williams is a native of New Orleans, LA. 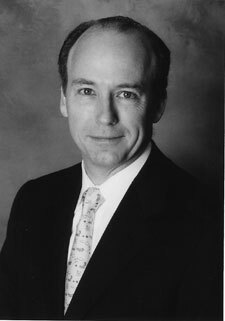 He attended the Tulane University for both undergraduate and medical school, completing in 1988. He additionally holds an advanced degree in Physiology from Temple Medical School in Philadelphia, awarded in 1984. Following a post-doctoral residency fellowship year in Surgery at Columbia University Hospitals, St. Luke’s/Roosevelt Medical Center in New York City, he completed his Residency in Radiation Oncology at the Downstate Medical Center, New York City, where he was elected Chief Resident by the faculty. 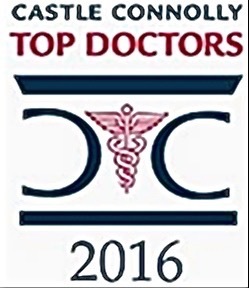 Dr Williams is a member of the American Society for Therapeutic Radiology, Oncology and Physics (ASTRO), the American Society of Clinical Oncology, and several other professional and civic organizations.